HEY, IT’S A STRONG MORNING! Hey…the market is up this morning. Not to throw cold water on any rally but let’s just remember, in just the past 9.5 days, from peak to trough, major indices have dropped 7-10%. On top of that, the DOW is 900 points BELOW the longer-term 200 day moving average. Hopefully, with bearish sentiment picking up, with stretched and extended conditions and with expectations low for the Trump-Xi meeting…that the worst is over for now. After all, it is way overdue. Do not also forget we are now in the month end, window dressing period as well as heading into December. Just don’t blink! Just don’t forget we get rallies right now because of weakness, not because of strength. Hoping for better days ahead. And did you watch my Giants just give away a season ending game yesterday? 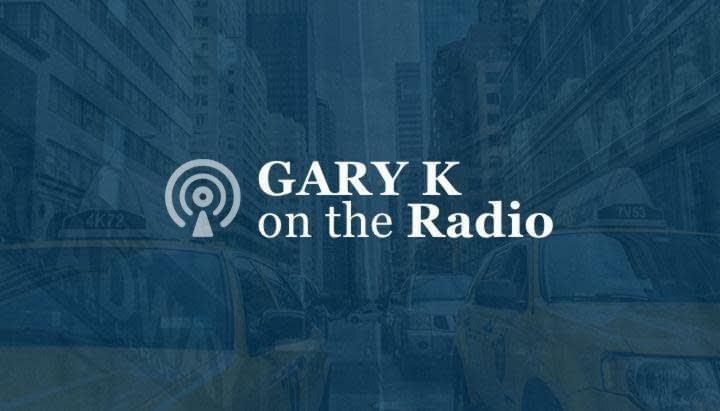 http://garykaltbaum.com/wp-content/uploads/2015/11/GaryK-RedTie-Head-Shot01.png 630 1020 Gary Kaltbaum http://garykaltbaum.com/wp-content/uploads/2019/01/gary-k-logo7-01.png Gary Kaltbaum2018-11-26 07:28:542018-11-26 08:47:50HEY, IT'S A STRONG MORNING! It is a scorching 8 degrees as we write this. Speaking of cold, futures down nicely another day. OIL again ripped. Too much talk of supply issues. We say it is all about demand. Just watch the market. It knows. We are quite amazed that the institutions could not even wait to sell more until after the holiday. Tells you they are very worried. Do not believe this is about algos, programs, technicals and all those crappy excuses. This is real selling. They never blame the upside on them. The good news is that all our sentiment numbers have gone very bearish. (contrary indicators) Keep in mind, just because they are bearish, does not guarantee a rally any time soon. Just that sentiment conditions can get one. The big picture is still gross. Also seeing some insider buying picking up…and will give you a list of names next week. Markets close at 1 pm…don’t know why they are even open today. And this was supposed to be a seasonally strong Thanksgiving week! And this was supposed to be a week where we didn’t have to write more than once. At least the Giants won two in a row. Let us start off by saying that as we drove into work, we were flipping the channels when we heard another “Bitcon” jackass on another certain financial channel saying that “Bitcon” is still a long term fundamental story. Of course, these same people have been touting this con all the way up and all the way down. We cannot believe they are still allowed to spew their nonsense but welcome to the world. Unfortunately or fortunately, the “Bitcon” is unwinding again. We took pains in telling you since last December that all these coins would turn to dust. Yes, we used the word “dust.” Let’s just say the emails we received did not wish us a happy holiday or a happy birthday. Of course, a bunch of scammers came out with more and more coins, adding up to about 2,500 coins. You knew there was trouble when the democratic bastion of Venezuela came out with a coin or how that great investor Dennis Rodman came out with the “Potcoin!” No…we did not make this up. Of course, that coin is down about 97% and try selling. Actually, try selling any of these coins. Most coins are now down in the 90s with a bunch already going bye bye. On top of that, most of the bull crap companies that changed their names to some sort of crypto are no longer trading. You remember companies that were in the fruit juice, ice cream, cigar and other nonsense changing their names? Kids, this was just another fed-induced con/bubble that was always going to crack. It was just a matter of time. All one had to ask was what economic value did all these coins have. It is not the first con/bubble and won’t be the last. It is your job to recognize it the next time it occurs. As we have said time and time again, these tout artists will put a bid on a leaf from a tree and tell you to buy it. There is no conscience. Unfortunately, the markets have worsened again. The hope by many pundits and strategists is now starting to dwindle, always an outcome of falling prices. The biggest problem markets continue to have is the continued meltdown in everything that led the market up for so long. As we open up this morning, the NASDAQ and NASDAQ 100 will open BELOW the lows of almost 4 weeks ago. We cannot begin to tell you how negative this is if it sticks. As we have told you in the past month, bounces can happen at any time, even big bounces(the trees), but the big picture is speaking loud and clear(the forest), and that is as of this second, lower prices have still not satisfied the big money crowd. And to be clear, it is never good when the two leading indices of the prior bull are leading down. The biggest problem continues to be how concentrated the move was at the end of the move, how over-loved, how over-owned and most importantly, how over-leveraged these areas became. We suspect even after this drop, there is still plenty of leverage to work off. Today could be an important near-term day if these two indices open below and reverse. That would stem the tide for now but only in the near-term. Everything continues to trade BELOW all longer-term support. FOREIGN markets led the way. BEFORE the rest of the market cracked in early October, we were telling you for months how almost half the market was already bearish. It is these narrow markets that are the most vulnerable when the real selling shows up. We are now seeing the outcome. We are also now seeing what the market telegraphed in advance. Not only are some foreign countries announcing contractions but we are now getting some serious downward guidance out of corporate America. RETAIL is the latest as a few names like Lowes, Best Buy, Kohls and Target getting smoked this morning. We also think the drop in energy prices is also telegraphing a slowing of demand. The possible good news is that THE FED WILL BE DONE IN DECEMBER. The “data they are so dependent on” will force their hand. DEFENSIVE areas continue to have the best relative strength while the “RISK” areas continue to sell off. In bearish phases, DOW-types and defensive areas will hold up better but even they will not be immune as we go through the nausea process. We continue to urge caution and to not listen to all the “cheap, value, overdone, capitulation” crowd. Price is much, much, much stronger than opinion and price continues to speak loudly and clearly. In fact, price is now shouting…unfortunately…but HAPPY THANKSGIVING! And lastly, memo to President Trump, Kudlow and Mnuchin…if you are going to comment on the markets…just say “corrections do occur and fundamentals longer term are fine”…and then shush! Holiday shortened week where supposedly, markets always go up. Futures flattish after being down most of the morning. AAPLE (AAPL) feeling some more pain on supposed cut in IPHONE orders. Leading groups are utilities, consumer staples, drugs, a few reits,a few healthcare names, exchanges like CME and ICE, and a few DOW names like a MCD, UNH, WBA, JNJ. Recent gaps to the upside in names like DATA, ETSY, PLNT, TWLO have done nothing except pull back into the gap or sit. EVERYTHING except the DOW and defensive areas trade below the longer-term 200 day average. Some things trade way below. We do not think it a good thing when the DOW has the relative strength as we have told you when markets are defensive, it buys defensive. GROWTH STOCKS continue to act terribly. Many trade below the 50 day average with a bunch now in no man’s land, below the 200 day average. Just take a look at the NASDAQ…not much to see. Also seeing more blow-ups, the latest being NVDA. While we have seen some wicked action in the semis, the SOX trades way below everything. We have one strong name in XLNX. The FINANCIALS continue to trade poorly…below everything with the REGIONALS acting terribly. The best news is the A LOW call from 3 Wednesdays ago still holds…and possibly a higher low being put in place last week…but to repeat, need to see some leadership elsewhere…and it just aint happening yet.